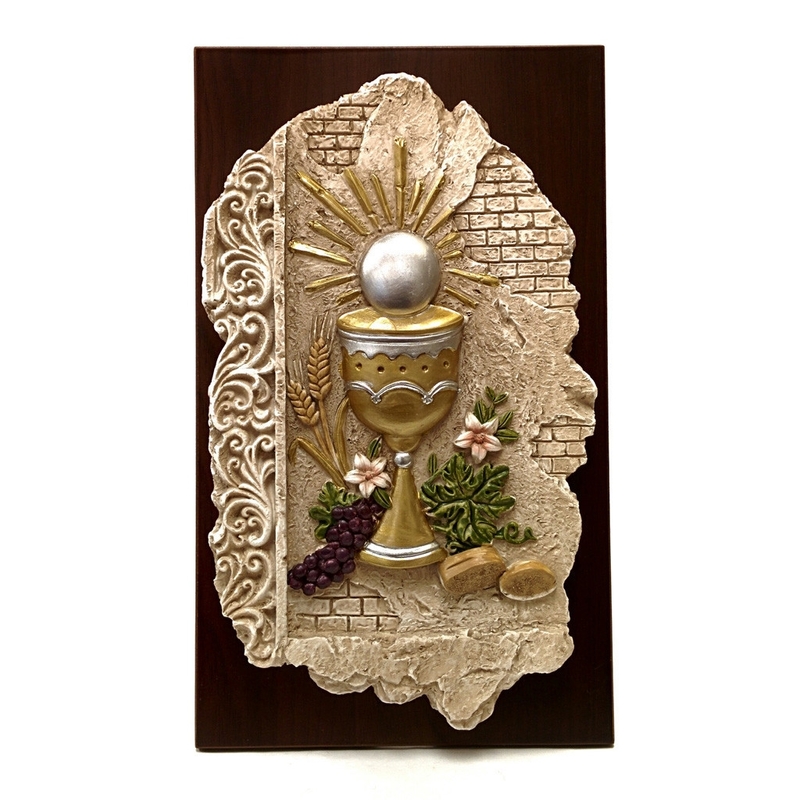 A beautiful Holy Eucharist Plaque made of resin and in a wooden plaque. The plaque can hang on wall or stand up. 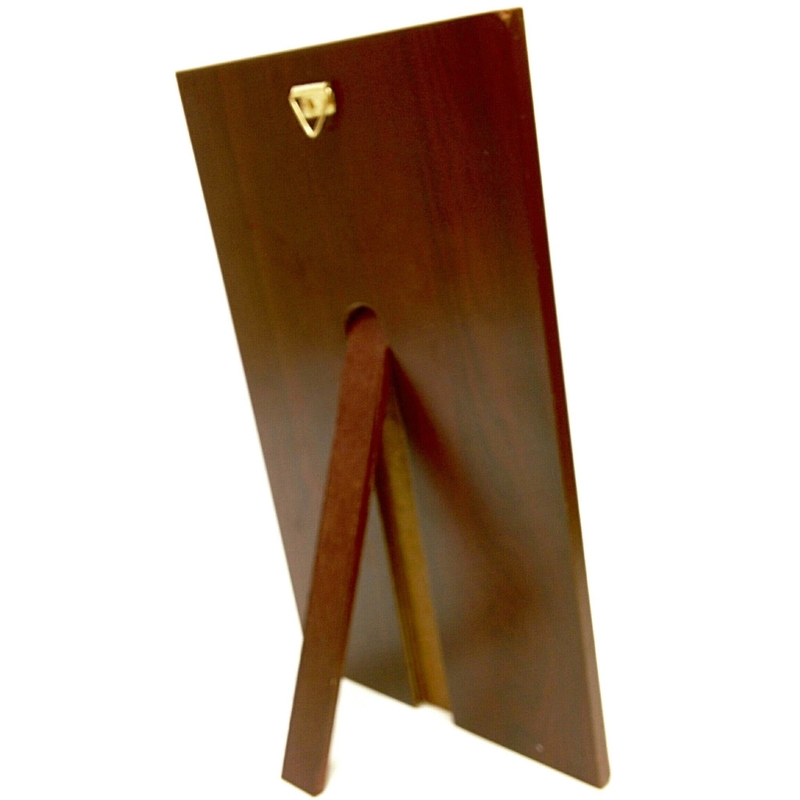 This measures 10.5" x 6".